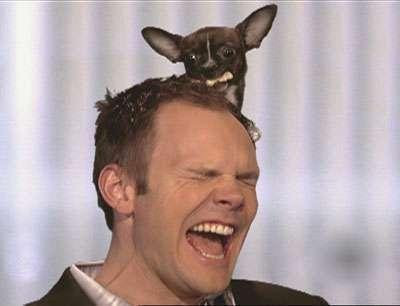 Joel McHale from The Soup always makes me laugh, this Twilight Mania clip is extra funny. I have to say, I think David Bowie makes a telephone joke from yesterday's post is equally funny. For more giggles or to play along pop over to Cindy's. And a big thank you to Anja for this week's theme. Had a great laugh, and then jumped on to follow. Australia, huh. I do not know much about Australia. I guess following will help with that! Come visit a ND English teacher who also believes she can change the world! Good to have a chuckle! I love that guy, too. there's not too much of his kind of funny on the television. ps - I see a collection of telephone crafts below!? Great idea! I've never seen a telephone collection before. It's nice to run across things you've never thought of.